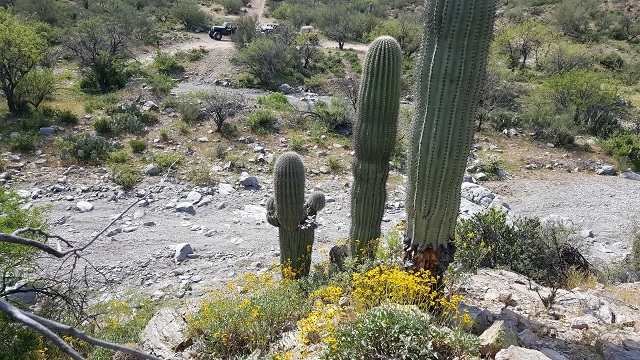 Cottonwood Canyon Road serves as one of the entrances to a very popular OHV area commonly referred to as Florence Junction. This expansive area is littered with old mining claims, mine tailings, hieroglyphic writings, mine shafts, and beautiful scenic views. 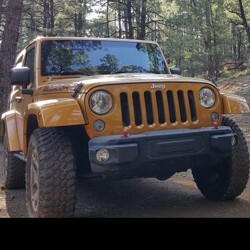 The staging area at the trailhead is very large and is the usual spot to air down tires, disconnect sway bars, and unload vehicles on trailers. On busy weekends it can be quite congested. Depending on weather conditions the staging area can be muddy and rutted or very dusty. Please Tread Lightly and park responsibly so others may use the staging area. Locally, the staging area is commonly referred to as, "Cottonwood," or "The flagpole." Want to see 3 more waypoints? Become an All-Access member! 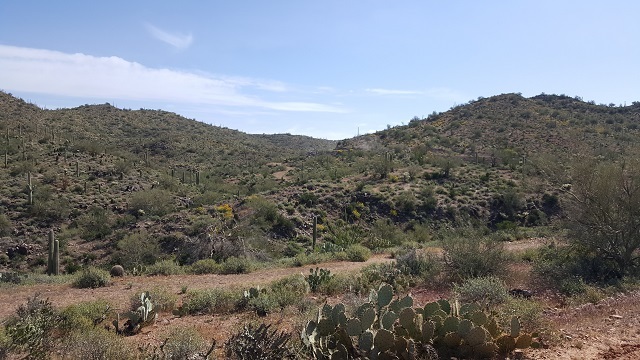 Access to the trailhead is approximately 22 miles South of Apache Junction, Az. The trailhead can be found by traveling east on US60 to the intersection with Highway 79, at exit 212. Exit the US60 and travel south 5.5 miles to the trail head, turn left. From Florence Junction, Az travel 10 miles North on Highway 79 to the trail head, turn right. The trailhead is at mile marker 145. Q: What day is this run? Q: After leaving the petroglyph site, I noticed all sorts of private property signs and a padlocked gate. Are you sure Cottonwood Canyon Road is open to the public? 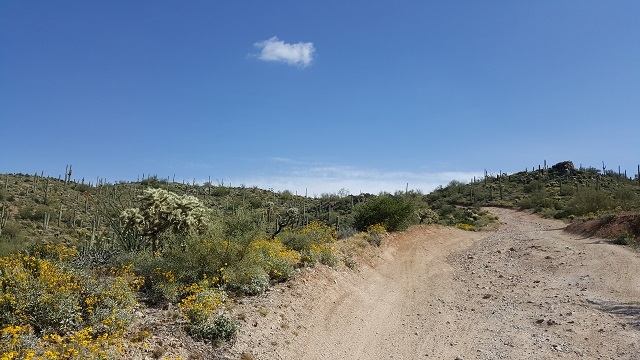 Our group used Cottonwood Canyon Road today to get to Woodpecker, one of the most popular trails in the area. As expected, there was frequent traffic as this is a very popular area. One thing that was noticed was that there are new carsonite signs on Mineral Mountain Road which direct traffic in the direction of US 60, one of the local interstates. Otherwise, the trail has remained unchanged. Had a commitment to get to so this provided a quick access back to 79. Was curious how the new bypass affected the entire "Cottonwood Rd Experience". I was not disappointed. I ran opposite the waypoint counts in the trail write up, starting at Waypoint 5 and continuing out to 79. I found the road rocky, steep and bumpy between waypoints 4-5. Between Waypoints 3 & 4, there are a lot of blind corners that I almost collided with some fast movers (Side by sides) who were not concerned about anyone coming the other way. 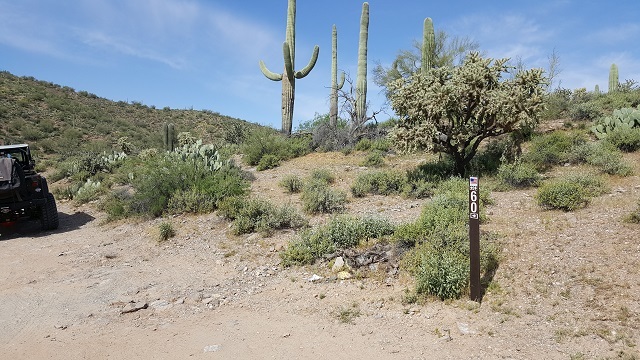 There are new signs marking the way to AZ 79 marked at strategic spots on the trail. (most agreeably on the 5 way intersection) with AZ60 on the reverse side. These signs have been placed there in the last month or so. They were helpful. Once past Waypoint the road flattened out and you could progress at high speed. There is a large staging area to the west, right at the intersection with AZ79 that had about 2 dozen trailers / trucks parked in it. Aired up here (Partially, because I ran out of CO2) but it's a great spot to either rally, or air back up. 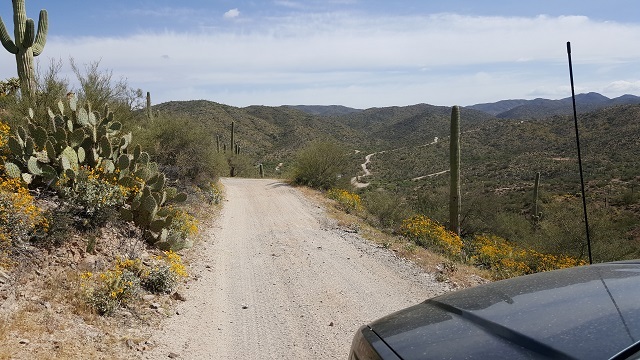 I travelled west on Cottonwood Canyon Rd after leaving Reymert Mine site, and attempting to reach AZ79 near the Military Camp north of Florence. 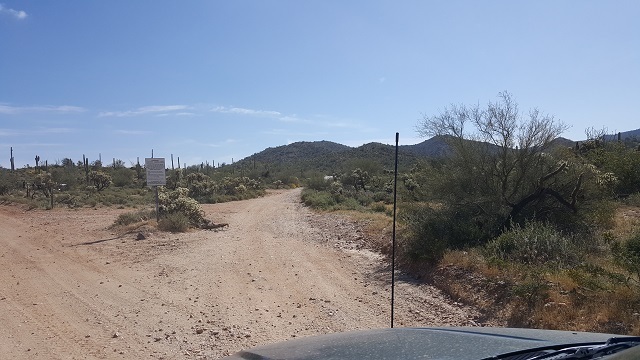 About a half mile west of the Petroglyph site, there is a Private Property/No Trespassing sign, and another quarter mile on there is a substantial and new-looking padlocked gate. Could not determine if there is a detour around this. **** Reply **** The section of the trail that you speak of was the "old," Cottonwood Canyon Rd before it was re-routed around the ranchers property. The detour is further to the south and outlined in the Cottonwood Canyon Rd guide. Thank you.